Duramin-150 is an economic, entry-level Rockwell tester. It is load cell-based, easy to operate, and is designed to last, which makes it ideal for production environments. Duramin-150 is made to meet the harsh challenges of the production environment, and employs a heavy frame and a robust display. Duramin-150 is easy to use and does not require operator training, enabling accurate performance from the very start. A fast cycle time with an automatic start function ensures that the quality control is aligned with the production flow. 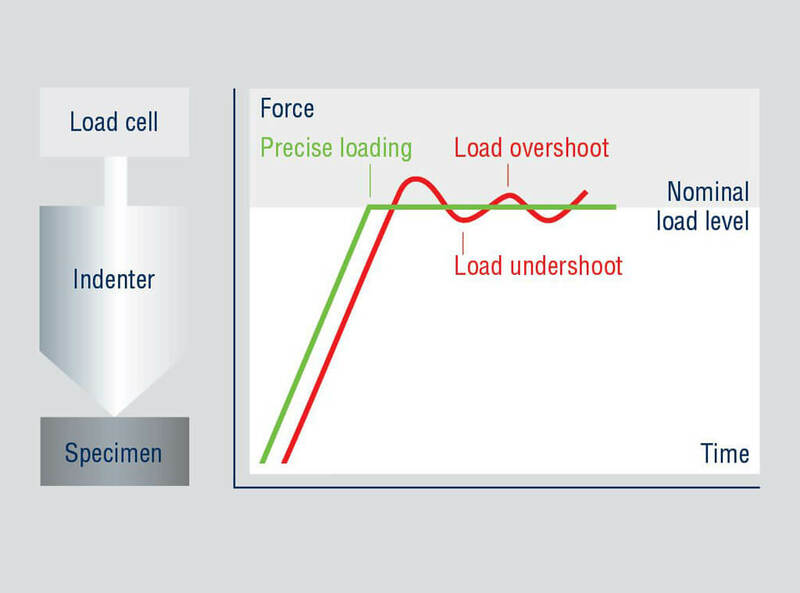 The load cell technology means that the test method can easily be selected without manually having to exchange loads. 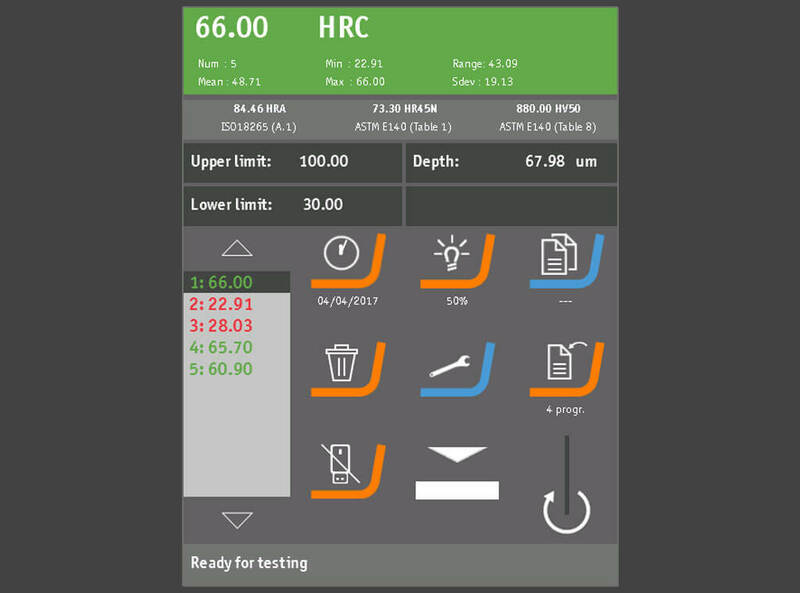 This minimizes potential operator errors and saves time. The machine frame is assembled from a cast frame, suitable for the toughest environments. 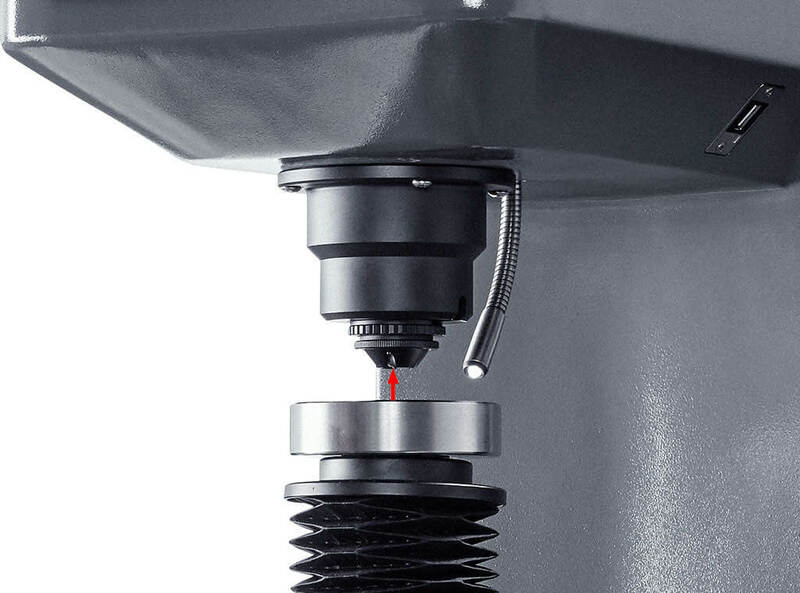 Duramin-150 automatically starts after the sample is clamped against the nose cone, saving time when performing high volume testing. 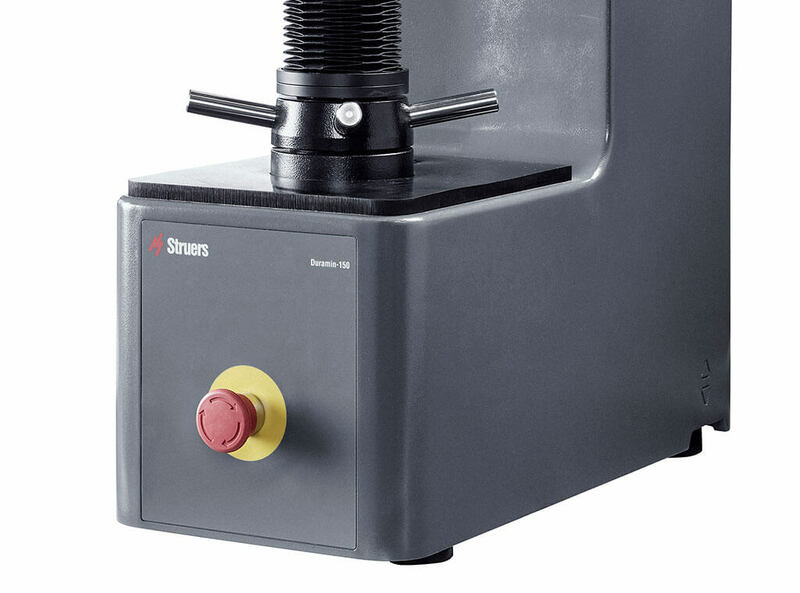 The entire test is fully automatic, including preloading, loading, unloading, and hardness evaluation. 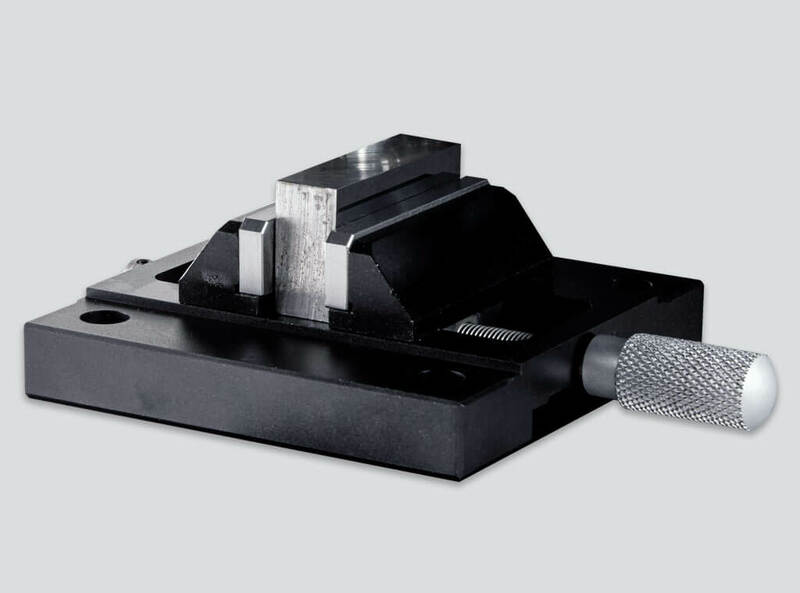 Different types of samples can be handled, due to the wide selection of anvils and clamping devices that can be used with Duramin-150. 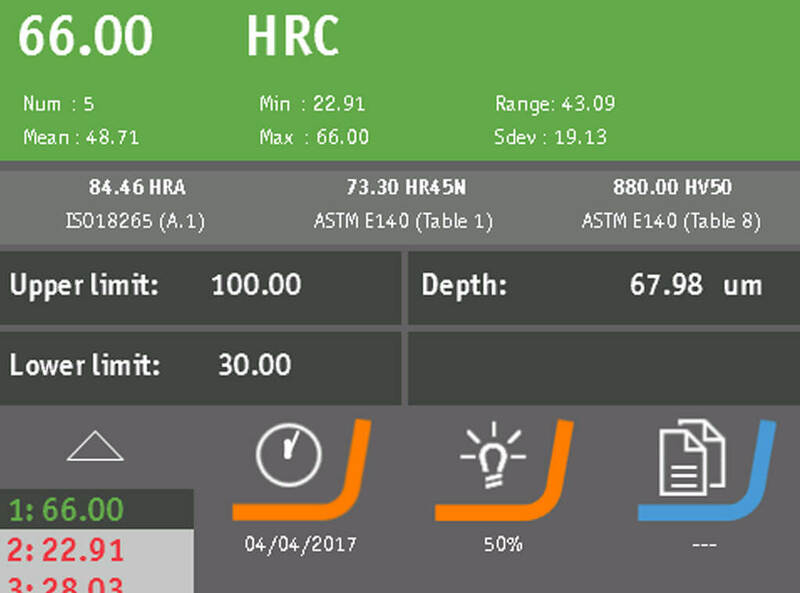 Basic statistics values are displayed on the main screen. Duramin-150 is based on load cell technology, which secures accurate and repeatable test loads. Load undershoot or overshoot is hereby eliminated. 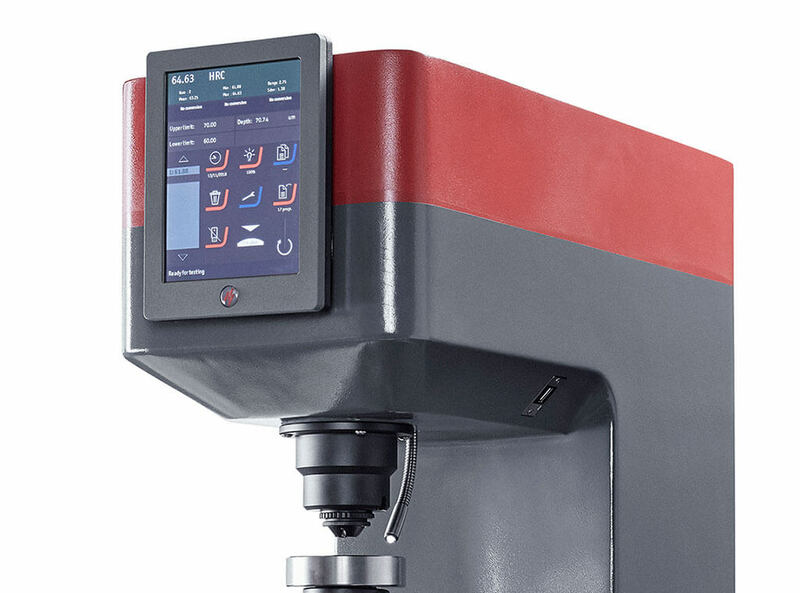 Load cell-based, Rockwell hardness tester with a seven-inch touchscreen display Suitable for all Rockwell methods Test load range (main loads): 1.0 – 150 kgf (29.4 – 2,450 N) With a removable test anvil of Ø80 mm The maximum sample height is 250 mm, with a throat depth of 170 mm.